The final international youth basketball match between France and Great Britain turned into a youth classic. Great Britain played hard defensively from the start and despite being smaller they rebounded better than their taller opponents. France still had the better of the first quarter. Great Britain just would not stop running and when they started to hit from the land of many they went 10 points clear by the interval. France took their time to close the gap but with 17 seconds left to play they had tied the game. However Gemma Bullard was just having one of those perfect days and hit what turned out to be the winning shot. 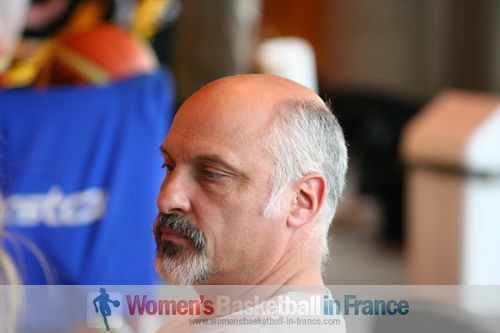 However France still won the youth basketball preparation three-game series 2-1. 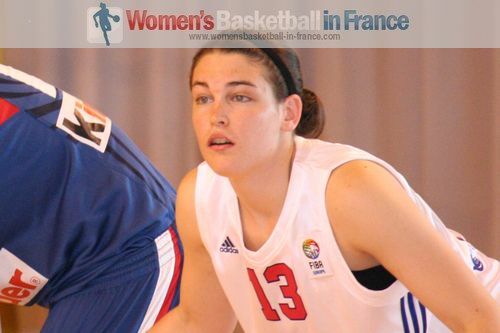 France will continue their youth basketball preparation for the U20 European Championship for Women Division A with the 4-nation tournament in Bourg-en-Bresse while Great Britain return back home and will face the Netherlands shortly. From the tip-off Great Britain played aggressive defense, keeping France scoreless for almost three minutes. 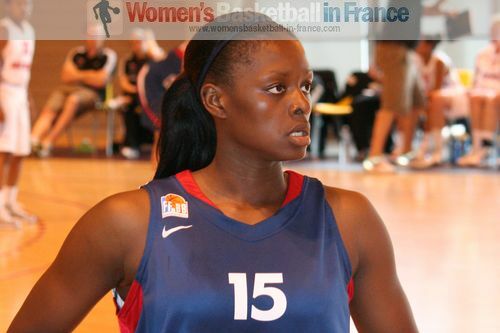 Great Britain opened the scoring with a couple of free throws from Katrin Chiemeka. 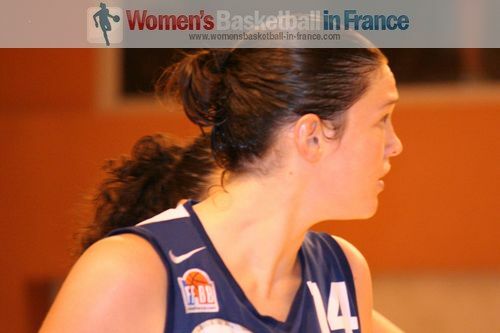 France changed systems almost immediately and with Hhadydia Minte fouled on the fast break, got on the scoreboard with a split pair. The flood gates opened with Minte and Elodie Dubasque (left) scoring quickly for France. 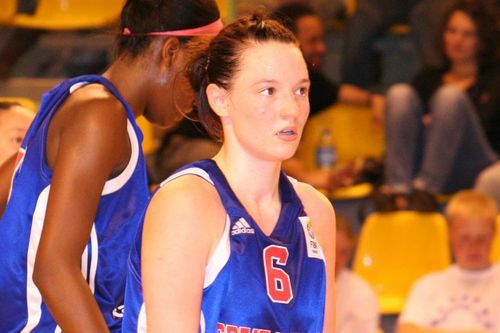 However Great Britain matched France basket for basket with the inside players Jessica Hurd, Erin Mc Garrachan and Temitope Fagbenle getting on the score sheet. 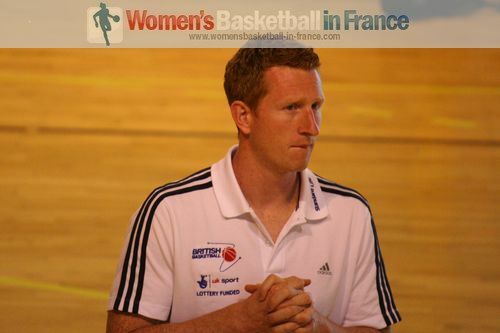 Damian Jennings continued to turn his bench while Kekelly Elanga, Stéphanie Dufour and Whitney Miquel used their strength inside for France to edge the first quarter (16-12). This youth basketball game was turning into an international youth classic with Great Britain drawing level (16-16) through Deanne Hayward. France were hitting clutch shots while Great Britain picked up all their second chance opportunities as the teams stayed on level terms (22-22). Great Britain continued to play hard defensively as they chased down every single ball. France were really on the back foot. The inside players from Great Britain were finally given an offensive break with Renee Busch and Rebecca Brough hitting back to back three-pointers. Great Britain went into the interval leading (36-26) with 12 points coming from Fagbenle. Great Britain continued to run all over the court and pressed full court as they maintained their advantage (44-34) midway through the third quarter. Princesse Goubou came up with the must curious shot of the match with nowhere to go and with her back to the basket she used a volleyball technique to score and draw a foul. However in the very next play Gemma Bullard fired in a trey from down-town for her side to stay ahead (47-38). Great Britain continued to fight tooth and nail for every ball as France appeared to be gaining the upper hand. For all the possession France had they found themselves still trailing (40-50) as Bullard hit a another shot from down-down. For the first time in the game France became careless and left Busch open and free to hit a buzzer beater three-pointer for Great Britain to stay in front (53-42). With six minutes left to play Great Britain were still leading (55-46). 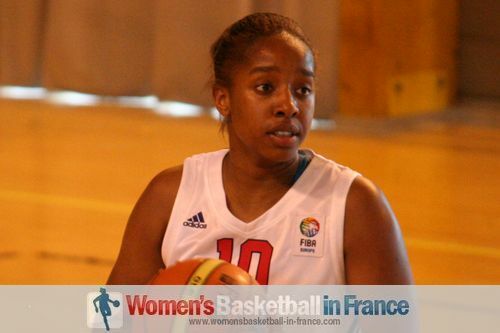 But France slowly took control of the final quarter and with three minutes left to play they only trailed (53-57). Great Britain still led (60-57) with 90 seconds left to play. Another trey by Bullard gave Great Britain some breathing space. 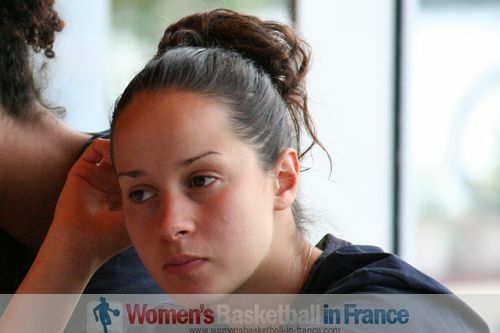 But France were better at getting fouls and with 34 seconds left to play Clémentine Samson tied the game (64-64) with a turn-around jumper from the land of many. However Great Britain got back to hold on to a small advantage with a Bullard head fake under the basket with 14 seconds left to play. The dying seconds were typical international youth basketball match-ups with the coaches from both teams jumping and shouting while players were falling all over the court. France still had the chance to tie the youth basketball game to overtime. Yet the shot fell short to give the victory to their opponents (66-64). La Grande Bretagne commence ce troisième match avec une défense agressive pour tenir la France sans points pendant presque trois minutes. Puis la Grande Bretagne ouvre leur score avec 2 lancers franc de Katrin Chiemeka. La France change de système à cet instant et avec une faute sur Hhadydia Minte en contre-attaque marque le premier point pour son équipe avec un lancer franc sur deux. De suite, Minte et Elodie Dubasque mettent leur équipe en avant. Pourtant les Britanniques ne se laissent pas faire et coup pour coup, les intérieures Jessica Hurd, Erin Mc Garrachan et Temitope Fagbenle alimentent la marque. Ainsi elles parviennent à rester dans le jeu. Damian Jennings tourne son effectif pendant que Kekelly Elanga, Stéphanie Dufour and Whitney Miquel utilisent leur force dans la raquette pour garder leur avantage à la fin du premier quart (16-12). Ce match est un classique des espoirs avec les deux équipes au coude à coude et Deanne Hayward de la Grande Bretagne égalise (16-16). Les Françaises sont très adroites en fin d'attaque faisant découler les 24 secondes pendant que la Grande Bretagne s'empare des rebonds offensifs afin que les deux équipes soient à nouveau à égalité (22-22). Les Britanniques ne lachent pas: elles perturbent leurs adversaires en intensifiant leur défense et en utilisant leurs physiques. Les ailières Renée Busch et Rebecca Brough marquent des tirs prime l'une après l'autre et donnent une opportunité à leur intérieure de souffler. La Grande Bretagne rentre dans les vestiaires avec un avantage (36-26) mené par 12 points de Fagbenle. Les Britanniques continuent à se battre sans relache et défendent tout terrain pour garder leur avantage (44-34) à la 25ème minute. De ce fait, Grégory Halin commence à faire tourner son banc et Princesse Gabou marque un And 1 - presque irréel. 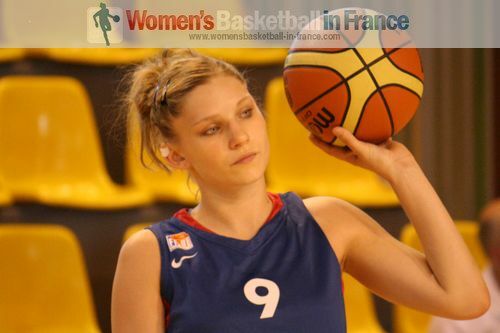 Mais à la prochaine action, Gemma Bullard marque un tir prime pour la Grande Bretagne (47-38). Bien que les Françaises semblent prendre les reines, les Britanniques se battent pour chaque ballon même et gardent l'avantage (40-50) quand Bullard marque un autre trois-point. Pour la première fois dans ce match, les Françaises perdent leur sang froid et laissent Busch ouverte pour shooter un tir prime au buzzer. La Grande Bretagne mène alors (53-42). Avec six minutes restant dans le match, le score reste en faveur des Britanniques (55-46). Mais les Françaises commencent peu à peu à dicter le show. Avec trois minutes de la fin, elles réduisent leur déficit à 4 points (53-57). Avec 90 secondes restant la Grande Bretagne mène (60-57). Un autre tir prime de Bullard donne à nouveau de l'espoir à son équipe pour garder son avantage. Mais les Françaises provoquent des rotations défensives et des nombreuses fautes et finalement égalisent avec 34 secondes à jouer avec un shoot acrobatique de Clémentine Samson. Le chassé-croisé continue. Puis avec 14 secondes à jouer, la Grande Bretagne reprend un avantage de 2 points avec une feinte de tête de Bullard. Les dernières secondes se jouent dans un chaos avec des coachs agités et criant et des joueuses se jettant sur les ballons. Pourtant les Françaises ont l'opportunité d'égaliser à nouveau mais le tir est trop court et ainsi les visiteurs remportent la partie (66-64).